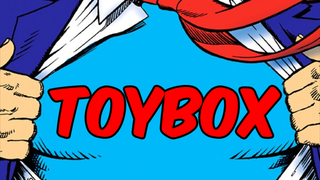 The holiday season is upon us, and while we're all busy hanging decorations and buying gifts, Toybox is miraculously still here, somehow. Let's take a look back at the first week of December, and the start of Toybox's fourth month of operation (four months! What the hell!). All in all, December's started on an above average trend, outside of a major dip on Friday, giving the site it's third worst day on record so far (even then, it was still just over the requisite 10k US People the site needs every day to maintain the 300k target for Recruits, which I still am sticking to, even if I've technically 'passed' the programme already), the site has had a healthy start to the month, but thanks to some high figures from the end of November leaving tracking, we still went down a little - but not by much, giving us 632k US monthly people as of yesterday. Even if it is down, it's still incredible that Toybox is pulling in over double of what is expected of a Recruit Sub-blog. And it's down to your support, so like every week, I offer my sincere thanks for putting up with my dumb nonsense. And what a week of dumb nonsense it's been! We take a look at why Nova biding his time to enter the MCU might be for the best, and went on a bit of a critical bent as we pondered why the release of the last Middle-Earth movie for a very long time might be good for the Fantasy genre on film, and took not of franchises retelling the same story again and again (as an amazing follow up, this essay by Lightninglouie on the Observation Deck is a must read). But it wasn't all seriousness - there was comic book talk, lots of action figure goodness ready to tempt your wallet in the gift buying season, and of course, a bit of dancing Groot. Can't have a week on Toybox without a bit of Groot, can we? Here's the biggest stories of the last seven days. A veritable handful of Toybox's features and biggest stories of the week. Not every Toybox story gets to grace the front pages of io9. Here's a few things you might have missed. The only way to get it all though? Keep your eyes on Toybox.